Here is a simple solution for the following error which was given to me from the browser when I tried to startup/shutdown the db with Enterprise Manager. 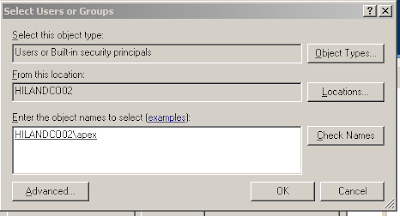 Go to the Start -> Control Panel -> Administrative Tools -> Local Security Policy. Select Local Policies -> User Right Assignment -> Logon as a Batch Job. Click on Add User Or Group, and add the user.